In recent months there has been talk of a housing bubble in Toronto due to the fact that home prices went up by over 27% (year over year) this past month. 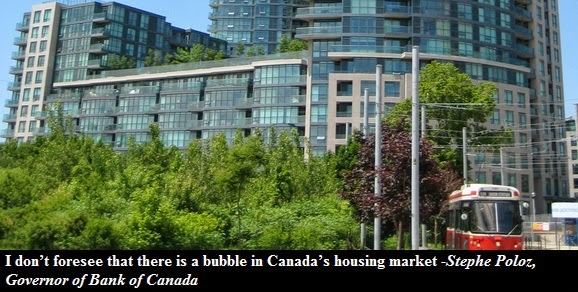 CBC is warning of a late 80s-style bubble but I think it could be much worse. Why? Two things: interest rates are already low and Toronto home prices were already in a bubble even before the recent double digit price spikes. 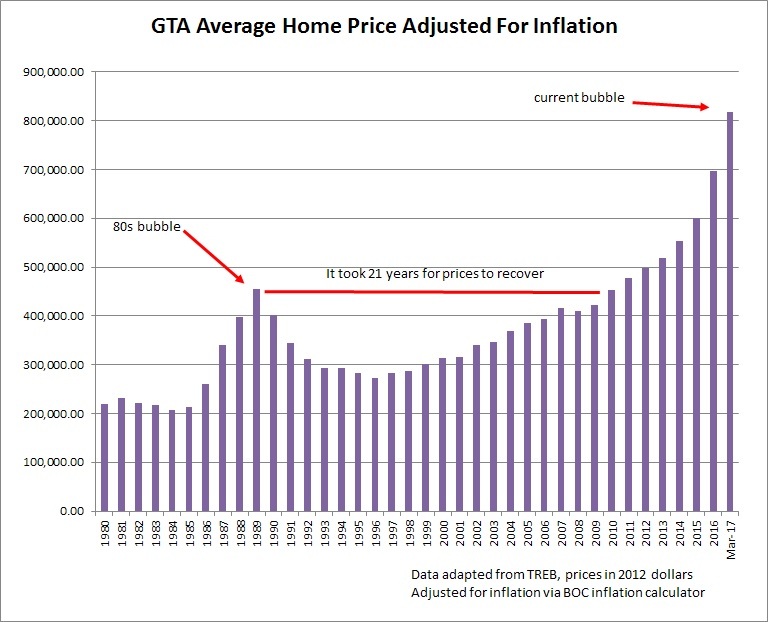 In the late 80's there was a HUMONGOUS housing bubble in Toronto. 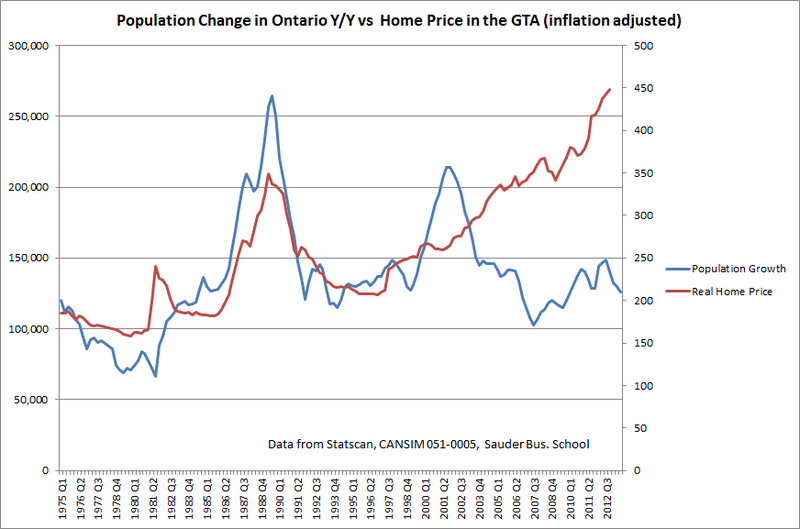 Between 1985 and 1989 home prices in Toronto had more than doubled. Then came the crash. 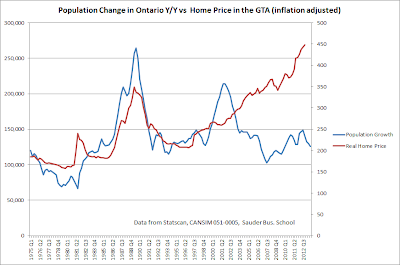 If you adjust for inflation home prices in Toronto fell by over 30% and in downtown Toronto values plunged by over 50%. Fast forward to today and home prices, when adjusted for inflation, are more than 81% above the peak of the previous bubble. Are you scared yet? Well you should be! Some say that the current prices are justified by the fundamentals - such as job growth, increased earnings and rising population. Surprisingly that is not entirely the case! Today's unemployment rate is much higher compared to the onset of the late 80's bubble. Only when the bubble popped did unemployment skyrocket to unprecedented levels. Since I believe the current bubble is much larger than the previous, once it pops, unemployment will rise higher than during the early 90's. 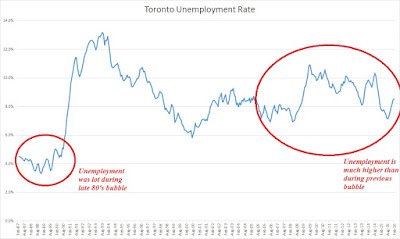 Do Torontonians Make More Money Today than in 1989? Families barely make more money today than during the peak of the first housing bubble in Toronto. 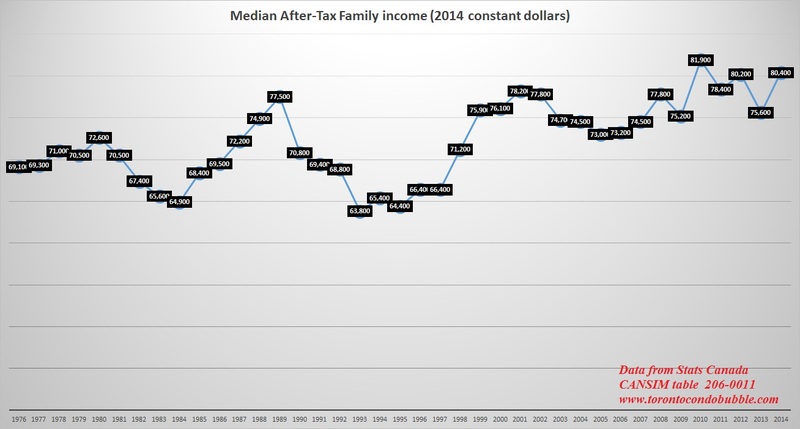 In fact, median family income was only $2,900 higher in 2014 compared to 1989. Yet home prices are 81% higher than during the peak of the last bubble. The most recent official statistic for after tax family income is for the year 2014. In 1989, the after tax median family income in Toronto was $77,500 (adjusted for inflation). In 2014 the median income in Toronto was $80,400. As I mentioned many times before, population growth facilitates the growth of housing bubbles. The faster the population rises, the higher the chance of bubble formation. This phenomenon is especially evident during the Toronto housing bubble of the late 80s. Presently the population growth in Ontario is at a 20 year low. Yet still the population growth is quite large. Slower population growth since the early nineties may partly explain why it took almost two decades for the current bubble to form. 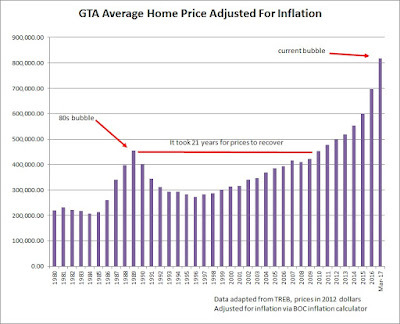 In 1989 GTA home prices were obviously overvalued, resulting in the crash. 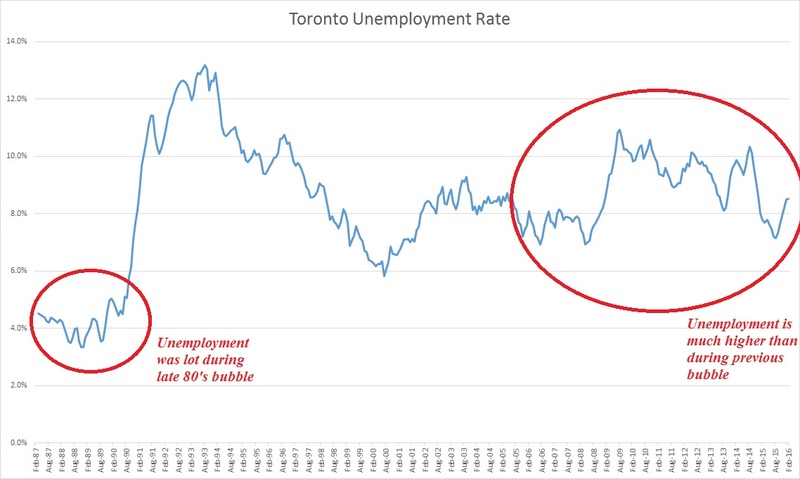 In 2017 home prices in Toronto cost 81% more than in 1989 but families barely make more money, the unemployment rate is twice as high and population growth is still going strong but slowing. So are we in better shape than during the onset of the last bubble? I don't think so. The reason being current low interest rates. During late 80's interest rates were in the double digits, but presently you can get a variable mortgage rate below 3%. Once the market turns south there would be little room for interest rates to drop, unless Canada emulates Denmark and introduces negative mortgage rates were banks pay you money for having a mortgage with them. But if that were to happen, it would just result in more harm than good in the long term. With all that being said, it is quite possible for the Toronto housing market to keep going up another 30% to 50% over the next few years. During the late 80's home prices were increasing above 20% per year for four years before the bubble popped. Nevertheless, once the bubble pops it will take decades for home prices to recover. Last time it took 21 years. This time I expect it to be much worse!